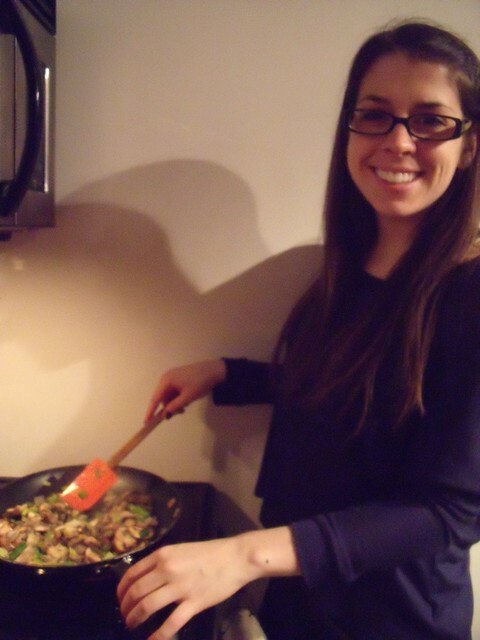 Heather loves mushrooms, and puts them in everything she cooks [Heather says: I like mushrooms. 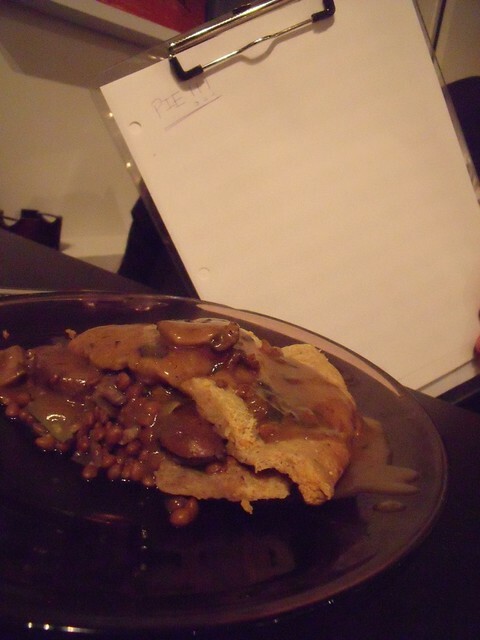 ], so we had to make a mushroom pie. 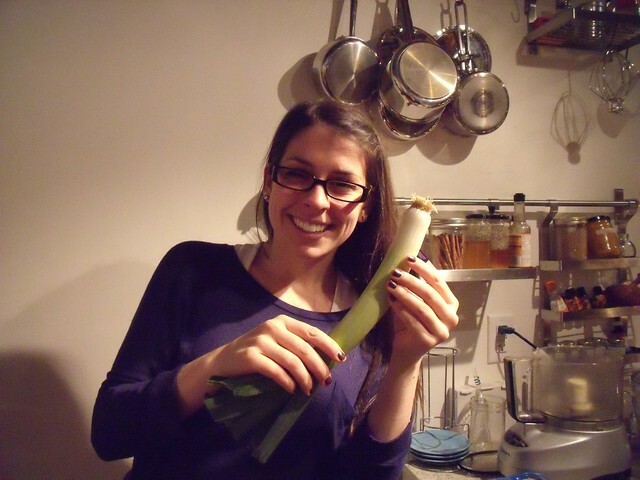 I thought this would be a good time to introduce her to my favourite allium: the leek. We also added in some new-to-Heather fresh herbs: thyme and sage. [Heather says: Is it thyme for sage? 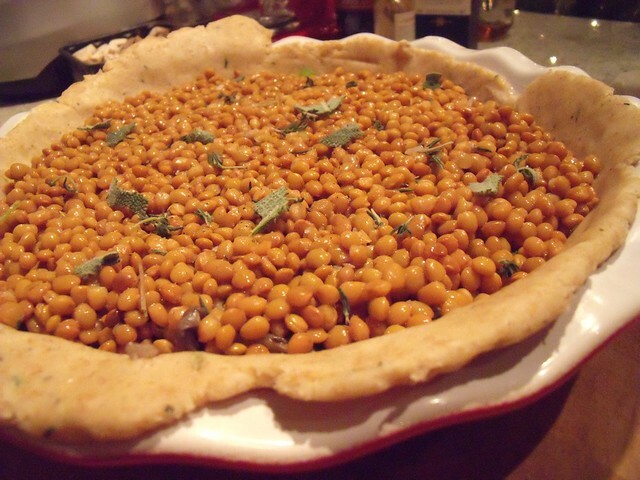 Hahaha…] We used them in both the Thyme & Sage Whole Wheat Pie Crust and in the mushroom, leek, and lentil filling. 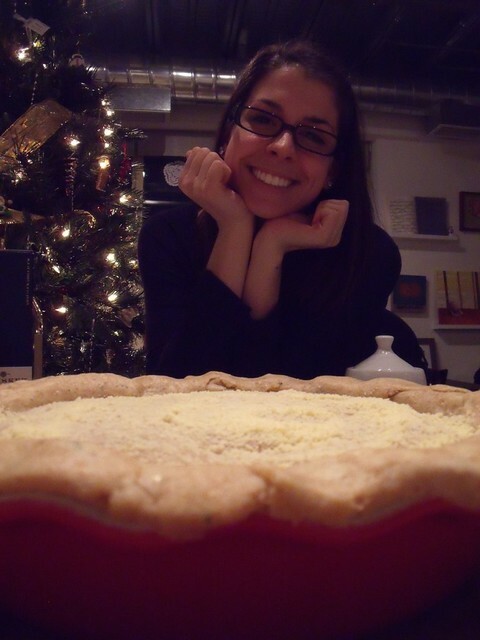 Prior to our pie-venture, Heather was convinced pie was for experienced bakers. 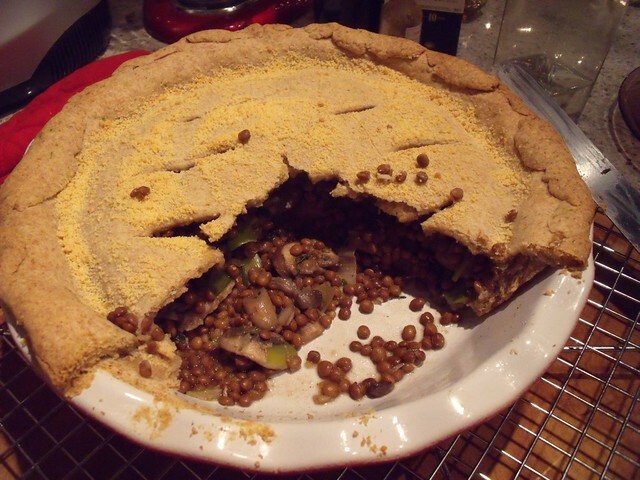 But with a little help (and encouraging yelling from me) she conquered savoury pie — next step, sweet pie. We may have chocolate-banana plans… stay tuned! 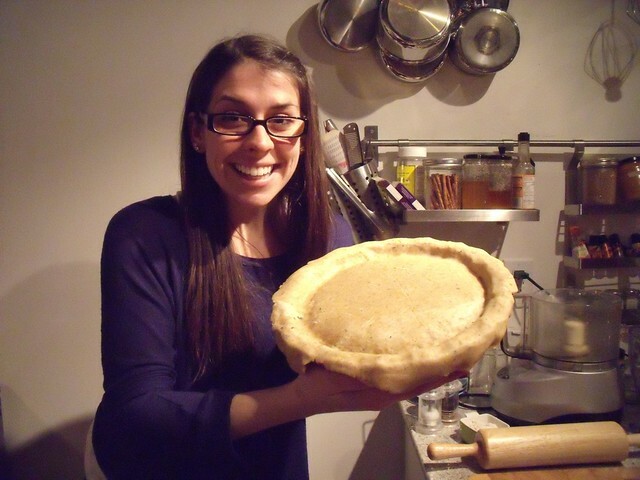 Easy as pie — demonstrated here in Heather’s keener pie face! We were excited! 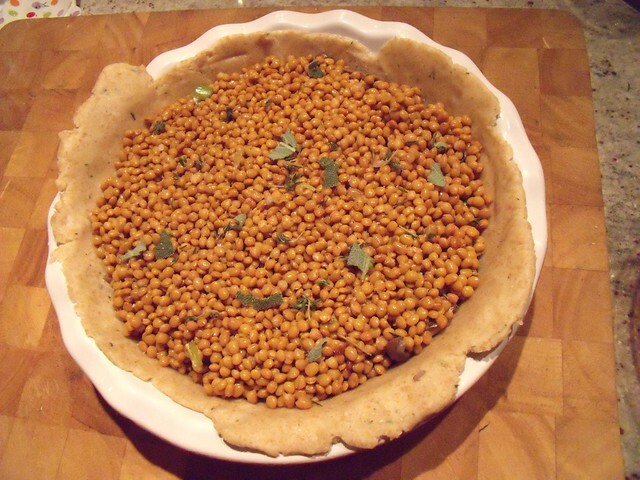 Prepare your Thyme & Sage Whole Wheat Pie Crust and pat the dough into two evenly-sized discs. Refrigerate the discs of dough, wrapped in parchment paper, for 3o minutes. While the dough is chilling, prepare your filling. Melt butter in a large pan over medium-low heat. Add garlic and leeks, and sweat until soft. 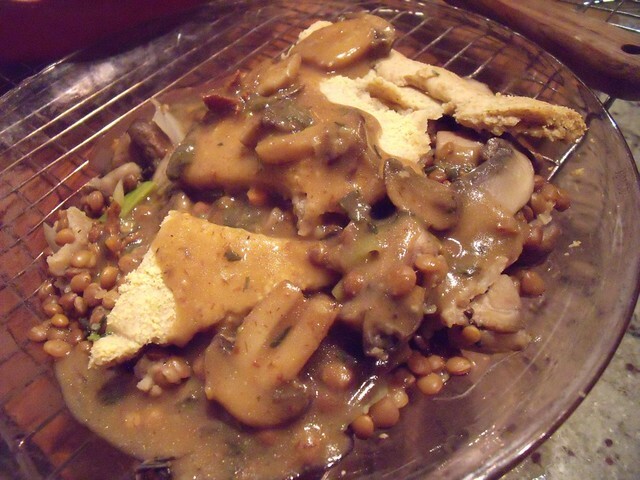 Add the mushrooms, salt, pepper, thyme, and sage. 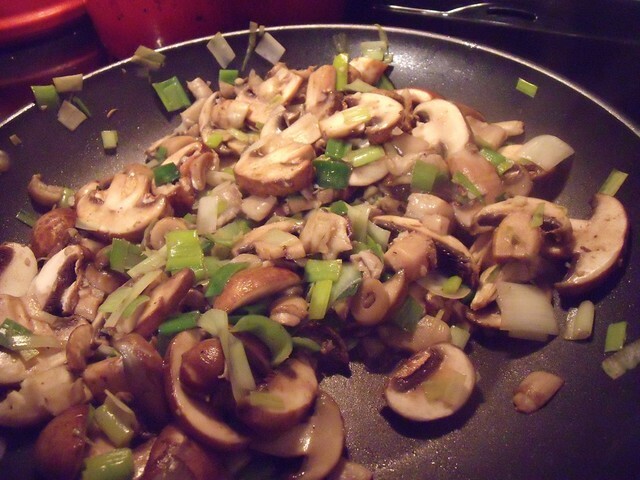 Turn up the heat to medium and saute until the mushrooms are tender, about 5 minutes. 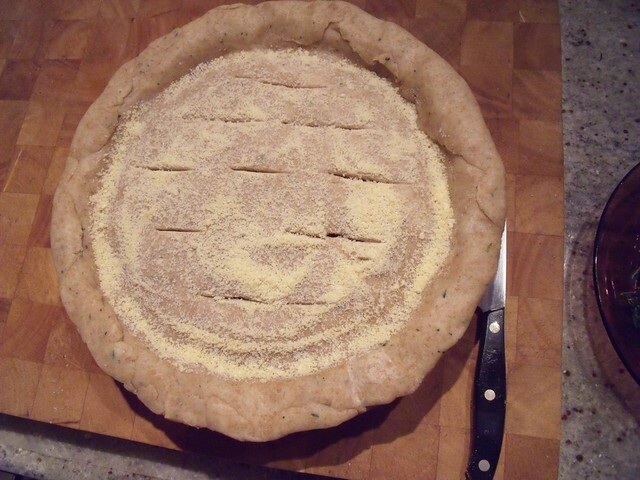 Roll out one of your chilled dough discs onto parchment or a floured cutting board. 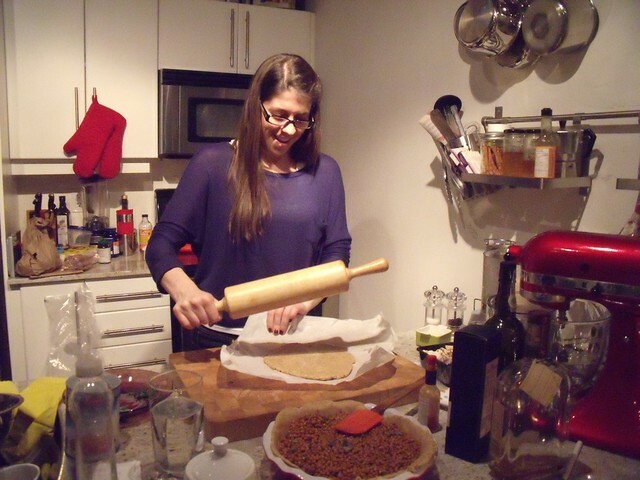 Use a rolling pin to roll out one disc of dough to fit the bottom of your pie plate, and transfer to your pie plate as a bottom crust. 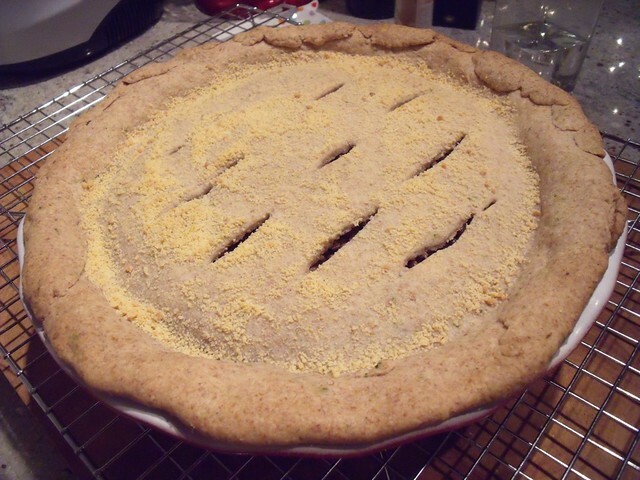 Press into the bottom and sides of your pie plate. 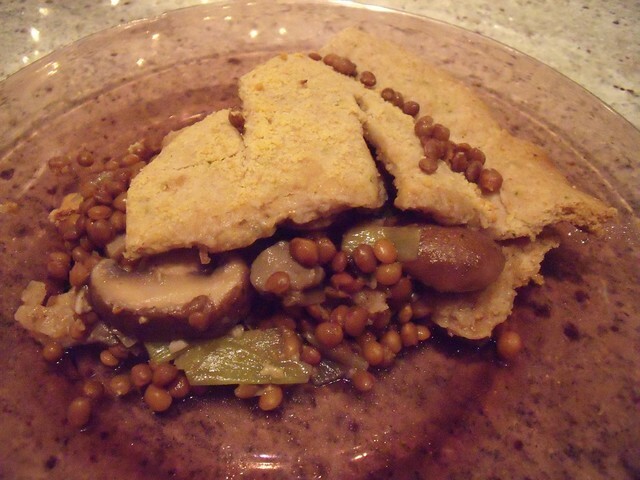 Add the leek and mushroom filling, then top with a layer of the cooked lentils. 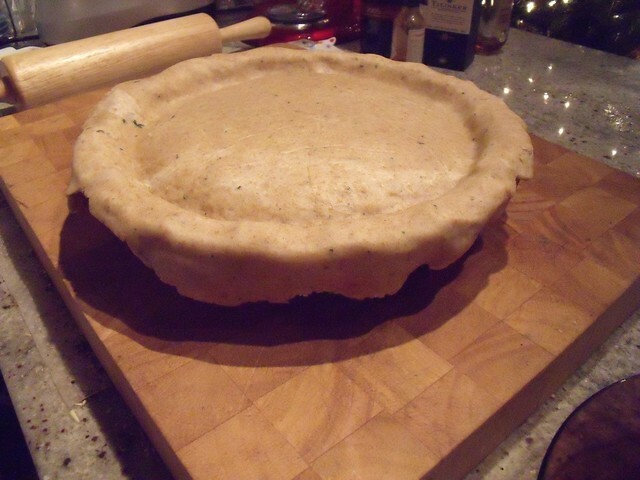 Roll out your second chilled dough disc as a top crust. 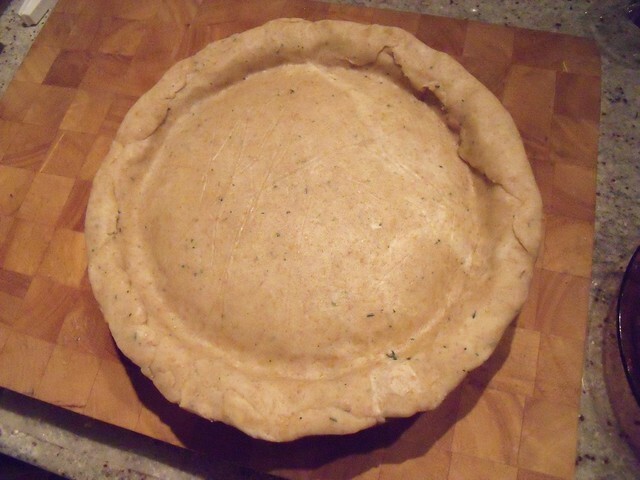 Press into the pie pan to seal the edges. 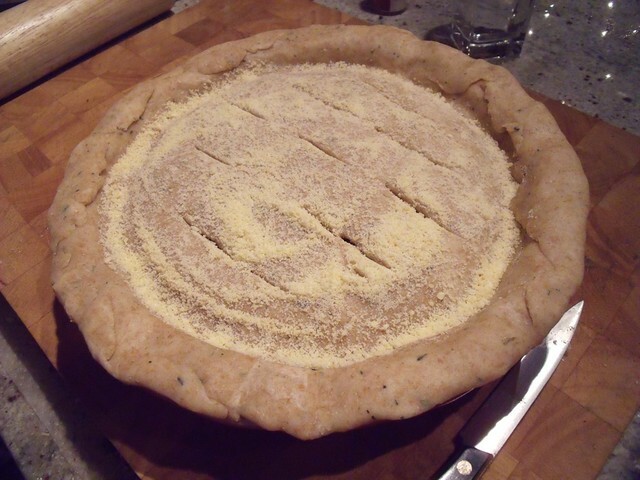 Sprinkle with the parmesan cheese. 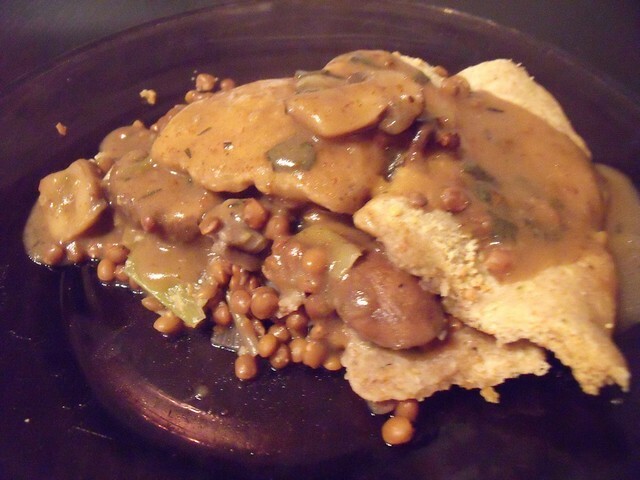 Cut slits in the dough to allow steam to escape. 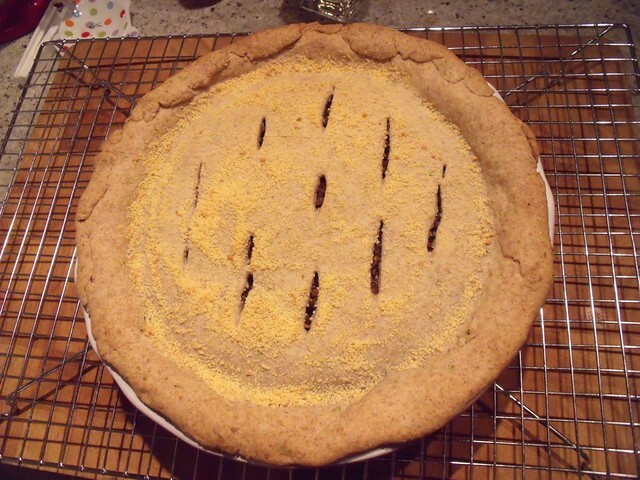 Bake at 375F for 30 minutes, or until the top crust is golden brown. 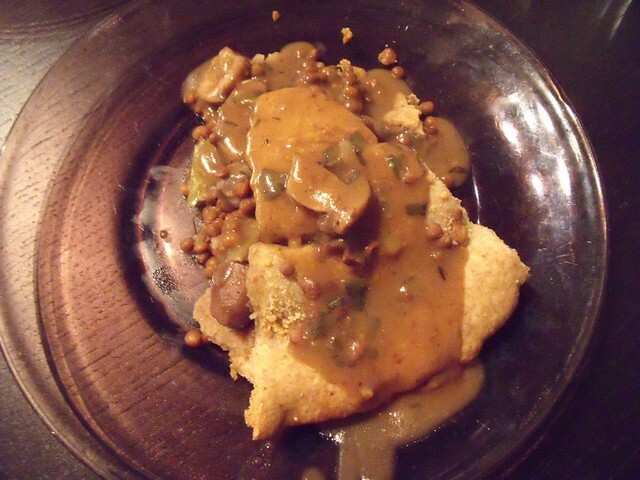 Serve warm, ideally with Mushroom Gravy (and shared with angelic sister, shown here with pie). playing tennis with your Mom tomorrow.. Sounds awesome – I hope it turns out! !